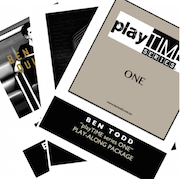 The “playTIME Series 1” Play-Along package features 4 tunes written by Ben, whilst he was on the road with Cirque du Soleil. Each tune has its own very unique sound and style, and offers a wide variety of different groove and soloing opportunities within the material. It also features different musicians from the Cirque du Soleil band, as well as musicians from Australia. This collection of tunes is perfect for the intermediate to advanced drummer who is looking for some fun and challenging material to widen their funk/fusion repertoire. 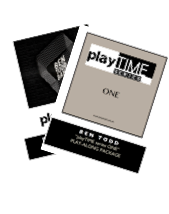 If you'd like to include in your purchase the commercial tracks of playTIME series one (complete with drums) click on this link to view an optional bundle. Quintet/playTIME/ 20TEN Three book Mega bundle! ← playTIME/ 20TEN super bundle!